Sure, Akamai is the biggest content delivery network in the world, but the company doesn’t rest on its laurels. Products like the Broadcast Operations Control Center and Adaptive Media Player keep Akamai on the cutting edge. Jeff Bezos wants to rule the world, and for our industry that means Amazon Prime Video, CloudFront CDN, Elastic Transcoder, and of course the various AWS Elemental offerings for video processing, packaging, and monetization. Apple TV and the iPhone might not have the biggest shares of their respective markets, but Apple still sets the pace for the online video industry, from HLS to its early support of HEVC. When Major League Baseball decided to build its own streaming platform, few would have suspected it would grow into the juggernaut it is today, powering various professional sports streaming offerings as well as Hulu Live. $1.58 billion from majority owner Disney goes a long way. Starting out as a video optimization player, Beamr has since introduced software encoders, and this year its Transcoder VOD won a Streaming Media Best of NAB Award. The first online video platform on the market, Brightcove seemed rudderless for a few years, but has found its way again with server-side ad insertion, context-aware encoding (also a Best of NAB winner), and video platform solutions that scale from small business to broadcast. Christopher Levy used to have “Stream OG” as his email user name, and with good reason. He and his company have been around from the start, and his tireless advocacy for DRM has been as important as the DRM services BuyDRM offers. The third-largest telco in the U.S., CenturyLink became a heavyweight in the video streaming market in 2017 when it acquired content delivery network Level 3 Communications, a perennial member of the Streaming Media 100. 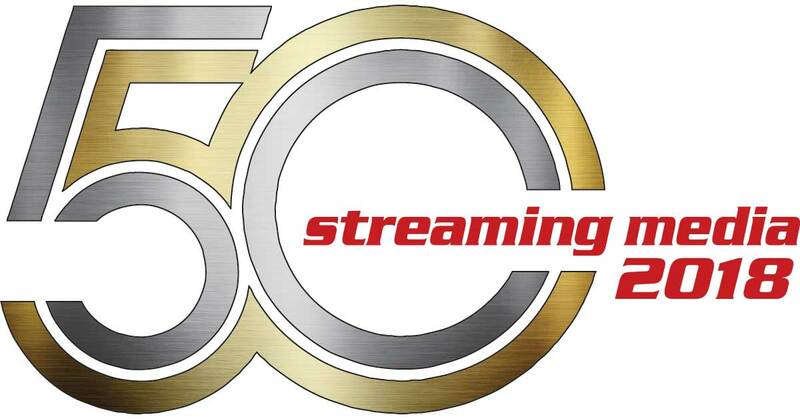 Cisco may not be on the Streaming Media 50 next year, as it is in the process of spinning off its Service Provider Video Software Solutions business to a company backed by Permira Funds in a deal rumored to be worth around $1 billion. The new company, Synamedia, made its debut at IBC, but it was located in the Cisco booth. Comcast has its hands in virtually every aspect of the video industry, from over-the-air and cable channels to movies, not to mention its Xfinity cable service. By the time you read this, it just might own Sky, too. Quality of service (QoS) and quality of experience (QoS) are buzzwords today, but when Conviva came on the scene in 2006, it was one of the first quality-measurement platforms on the market. Today, its customers include CBS, HBO, Sling, and Hulu. DaCast has a few big-name customers, but that’s never been its bread and butter. Instead, it focuses on more than 2,500 smaller accounts, including local U.S. broadcasters, European TV stations, and event-based accounts. Dolby Vision helped bring HDR content to the masses, and you could argue that alone warrants the company’s inclusion on the list. But its acquisition of cutting-edge cloud encoding company Hybrik, just before this issue went to press, clinched it. Before Encoding.com came along, almost everyone did their encoding and transcoding with on-prem software and/or hardware. But Encoding.com brought cloud encoding and transcoding to the masses in 2008, and today it claims to process millions of files each month. Since 2010, Encompass has expanded to offer a wide variety of services, including channel playout, content management, digital media processing and transfers, and production and post-production. Along the way, it’s garnered a who’s who of entertainment clients from A&E Networks to the WWE Network. The key to EZDRM’s offering (and its success) is that it offers a hosted DRM solution combining Google Widevine and Microsoft PlayReady via Common Encryption over DASH. That means it’s easy for rights holders and content services to stay on the cutting edge of content protection. YouTube alone would be enough to merit Google’s inclusion on this list, but of course the company has its hands in everything from content delivery (Google Cloud CDN) to advertising (Google Marketing Platform). Haivision’s got an impressive list of enterprise and broadcast customers and has long boasted myriad low-latency installations in the medical and defense fields, but just as important has been the way the company has open-sourced its Secure Reliable Transport (SRT) and led an industrywide consortium to make the protocol widely available. From its encoding/transcoding hardware to its VOS 360 cloud media processing service, Harmonic offers a complete range of products and solutions that target pure-play OTT services, broadcast, cable, and everything in between. Through a series of acquisitions, IBM has become a major player in video, and it’s leveraged its Watson artificial intelligence (AI) platform at tennis’ US Open and golf’s Masters tournament for some of the most impressive AI applications anywhere. By offering quality control solutions for every step of the video delivery chain, Interra has grown into a one-stop shop for QC, and earlier this year announced its integration with AWS Elemental Media Services. From internal company town hall meetings to public-facing marketing, INXPO offers solutions for every possible enterprise video need. What’s more, the company offers a slew of resources to help non-experts get comfortable with creating video and presenting on camera. From its start streaming weddings in Las Vegas in 2000 to its acquisition by Turner Broadcasting in 2015, iStreamPlanet has become a live-streaming powerhouse, delivering marquee events like the Olympics, BlizzCon, and March Madness. The JW Player video player was long one of the best-kept secrets in online video, in use on millions of websites in virtually every industry. Over the last few years, the company has expanded its offering from player to platform, introducing new features all the time. Kaltura was there at the beginning of the online video platform explosion, and it’s one of the few that still remains. Its groundbreaking open source Community Edition is still available, but the company has moved into enterprise and OTT, and just recently announced a partnership with Yospace and SpotX for targeted advertising. “End-to-end solution” is a phrase so overused it’s almost meaningless, but Lightcast actually delivers, from media management and publishing to advertising and social media. Limelight Networks is going on 18 years in the business, and its longevity can be credited to a team that’s always focused on innovation rather than scale. These days, it’s leading the charge among CDNs for lower latency. Media Excel doesn’t make a lot of noise. But look behind the scenes at telcos like AT&T, Verizon, and Level 3, or networks like Viacom, Disney, ESPN, and UFC, and you’ll find Media Excel hardware. While everyone’s eyes are on next-gen codecs like AV1, MediaMelon has been helping partners and customers get the most out of H.264 and H.265 today with its QBR Smart Streaming video optimization. 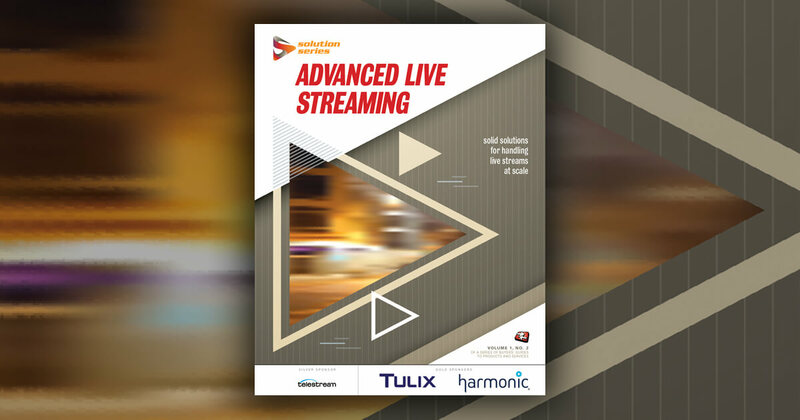 Companies like Abbott Laboratories, Ericsson, and General Motors use MediaPlatform’s WebCaster platform for internal and external live streaming, and the company has gone out of its way to not just sell, but to also educate, the market about the possibilities for enterprise streaming. We have to be honest: Microsoft hasn’t exactly been waving the flag for its video divisions, but that doesn’t mean it’s not innovating. Plenty of OTT services are built on its Azure platform; Stream is in use in countless enterprises; and Video Indexer is making huge strides in AI-based video insights. Mux takes an API-based approach to video hosting, encoding, and streaming, and just this year introduced a real-time streaming analytics dashboard. It’s also behind the annual Demuxed conference, where the leading video engineers gather to share insights into what’s new and what’s next. What’s a subscription video-on-demand service doing on a list of technology vendors? Simple: By introducing video multimethod assessment fusion (VMAF), Netflix set the new bar for video quality analysis, and the company has been consistently forthcoming on its tech blog, inspiring more companies to educate the marketplace. Panopto has targeted its video platform to both the enterprise and education markets, understanding both the commonalities between the two markets and (more importantly) the differences. Primestream’s FORK product line—which covers production, asset management, livestreaming, logging, and social media—is available to broadcasters, sports leagues, and news organizations either as an end-to-end solution (there’s that phrase again!) or à la carte. A consistent leader in Gartner’s sorely missed Enterprise Video Content Management “Magic Quadrant,” Qumu offers corporate video solutions for webcasting, on-demand video, training, and digital signage, with clients like BT, AT&T, Dow, and Deloitte. SeaChange seemed to hit the doldrums a few years ago, but these days is riding a wave of interest in its cFlow services and Panoramic platform as video publishers and service providers strive to deliver a seamless experience across viewing platforms and devices. Sonic Foundry’s Mediasite set the pace for lecture-capture appliances, but the addition of a full-fledged education and enterprise video platform offering, as well as professional services, has kept the company at the forefront. Along with the aforementioned VMAF and Moscow State University’s video quality measurement tool, SSIMPLUS (the “SSIM” stands for “Structural SIMilarity”) remains one of the leading tools in every video engineer’s toolbox. Our policy is to list a company’s chief officer, but credit here must be given to Charlie Dunn, GM of Tektronix’s video product line, for taking a company that’s been around since 1946 and whose scopes have been in use in broadcast for decades, and making it relevant to the world of IP-delivered video. From Wirecast (which is now available in desktop, mobile, and hardware versions) to Vantage media processing to Lightspeed video server to iQ Solutions (formerly Ineoquest) quality assurance, Telestream does it all. Tulix might not be the biggest or best-known CDN, but its continued growth and constant innovation since its founding 14 years ago—with a focus on helping its customers deliver not just content but also monetize it—warrants recognition. Some of us remember when Vbrick was just that—a brick-shaped video encoder—but today it leads with software, particularly its Rev enterprise video platform. Though Verimatrix made its name with its Video Content Authority System content security architecture and watermarking, it hasn’t rested on its laurels, introducing Verspective Analytics to help service providers better understand what’s going on in their networks. VDMS for short, this company works hand-in-hand with its parent company Oath to offer video services with Uplynk (founded by Jacob), content delivery with its Edgecast CDN, and monitoring with its Volicon Media Intelligence division. Sound like another end-to-end solution? It is. While YouTube remains the biggest free video platform, Vimeo is the one to turn to when you’ve got higher-quality content and want to have more control over how it is seen and who sees it. From its origins as an alternative to Adobe Flash Server, Wowza has grown into a company that offers cloud streaming services, mobile streaming services, and the ClearCaster Facebook Live streaming appliance—all with an eye toward ultra-low latency. When media companies need low-latency, error-free IP contribution and transport within their organizations, Zixi is almost always at the top of the list. Today's video consumers want it all. High-quality content on their preferred devices. Watch-on-your-own-time functionality. Access so easy they don't have to think twice. Content personalized just for them. As 2018 nears to a close and with the largest IBC ever just wrapped last week, three key movements in the Digital Rights Management market have come to light. In the first scenario we see a massive movement towards standardized containers like FMP4 in HLS and CMAF for the deployment of "Consumer DRM" including Apple FairPlay, Google Widevine and Microsoft PlayReady. 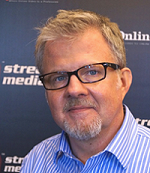 When Encoding.com launched in October 2008, no one in the video space was even using the word "cloud" let alone deploying large-scale content operations on cloud infrastructure. When video content became available for streaming on a variety of devices, viewers were simply excited to have access and to consume programming even if the quality was lower than traditional broadcast. To some extent, the security technologists have muddied the waters with generations of product that demanded proprietary formats, esoteric interfaces and a tendency to hide topics in a veil of secrecy that obscures the key logic and principles. Another exciting year in the most exciting industry of all. At Lightcast.com we simply love what we do, and still, nothing excites us more than the media projects of our clients. While cord-cutting is on the rise, traditional broadcast still has some advantages over streaming. First and foremost: it ... works. Today's OTT content delivery ecosystem has changed the industry drastically, perhaps most significantly by presenting broader opportunities to build powerful and lasting relationships with viewers. Consistently streaming superior video quality over the internet is hard. Hard for on-demand titles and even harder for low latency live. A big enough problem for the industry's biggest players to pre-pay a group of Emmy Award researchers to build a platform that didn't exist 22 months ago. Today, it is affecting the streams of tens of millions of US subscribers. Streaming viewers expect to access content at any time, in any place and on any platform. At the same time, research indicates that consumers do not have much more incremental time that they can spend watching video. There is a battle raging where the prize is the attention of consumers. It's no secret that the growing complexity of the global media and entertainment industry has made it harder to deliver content in the traditional way and maintain direct control over rights negotiation, quality levels and delivery formats.